"Sofia has a way with animals that is simply astounding. They respond to her." 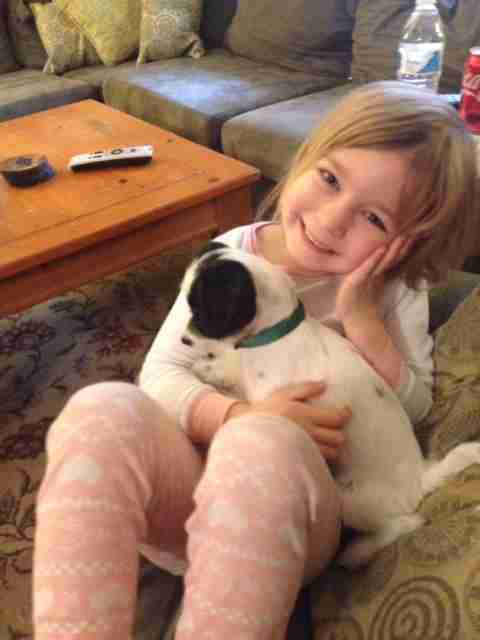 For most of her life, Sofia has had a soft spot for helping animals. 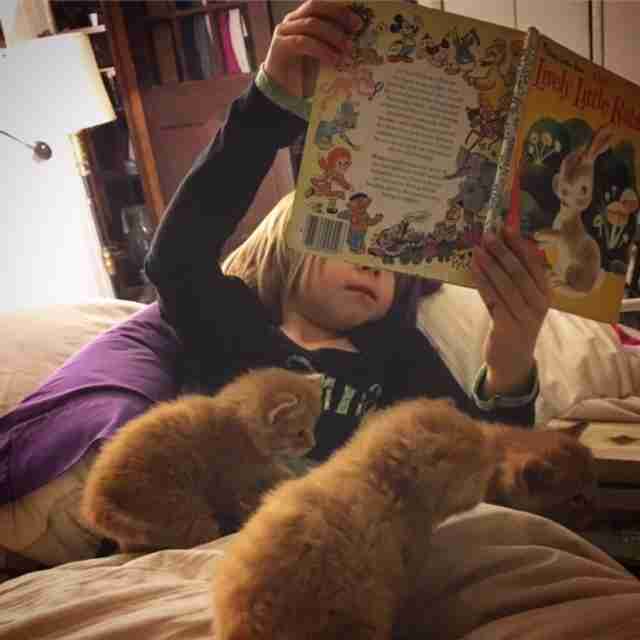 Her mom works at a shelter as an animal care technician and is constantly fostering as many animals as she can, and Sofia is always happy to help in any way — especially when it involves playing with groups of puppies or kittens. 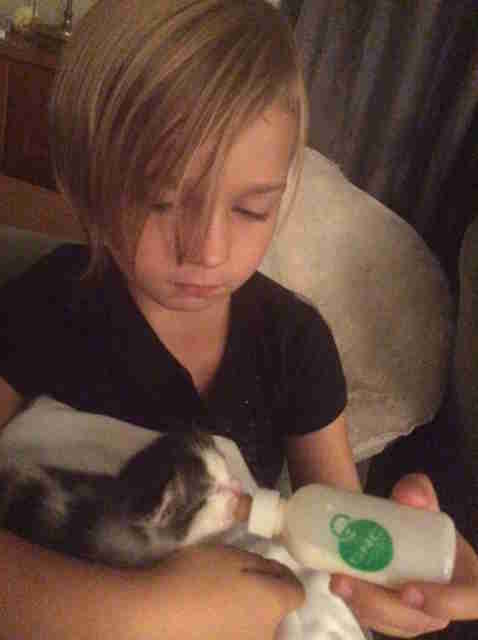 Since Sofia is still too young to officially volunteer at the shelter where her mom works, she instead helps out with the foster dogs and cats her mom takes in. The family specializes in taking in dogs with medical issues or special needs, and also kittens who still need to be bottle-fed. 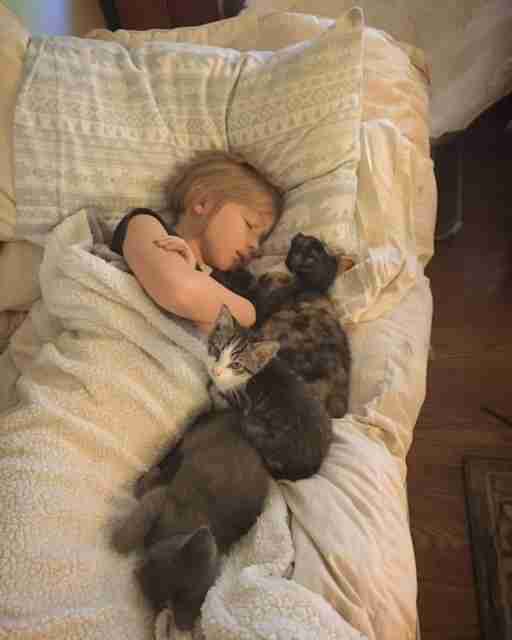 … to making sure they always have a warm place to sleep. On days when Rook has to go to work and Sofia doesn’t have school, Sofia gets to accompany her mom to the shelter and do a little impromptu (supervised) volunteering. 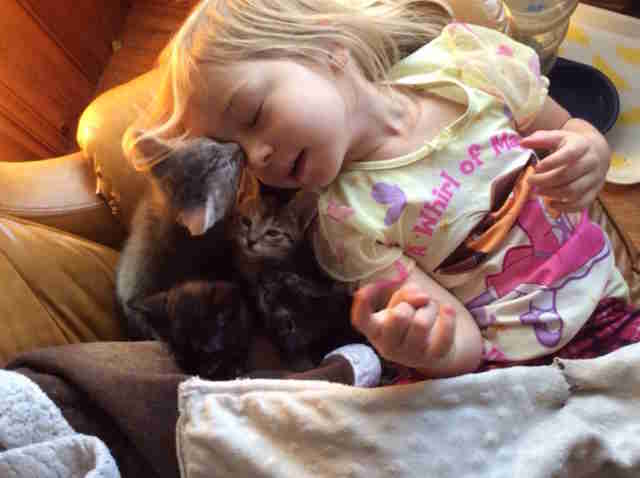 She helps feed all of the dogs and cats while her mom doles out meds and checks up on everyone … but sometimes, she gets a little distracted by all of the adorableness. 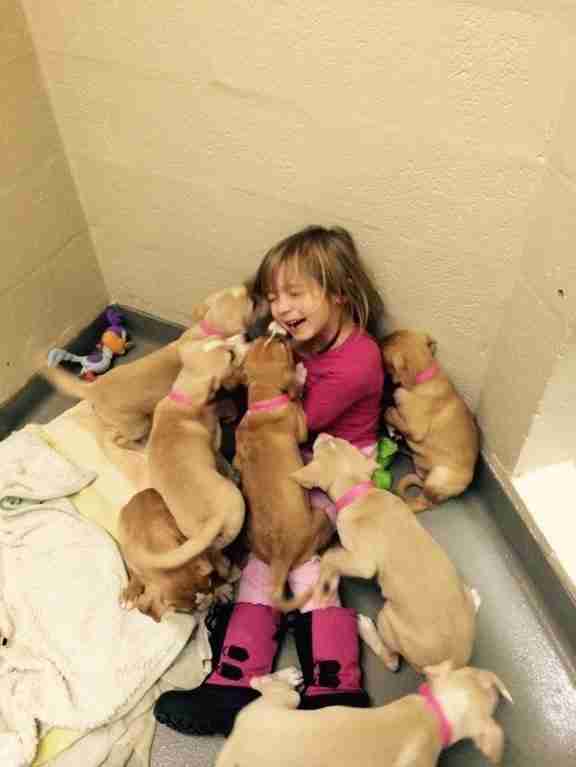 As the puppies jumped all over her and practically knocked her over, Sofia didn’t seem to mind one bit. The puppies seemed to think she was one of them, and she was more than happy to pretend for a little while. 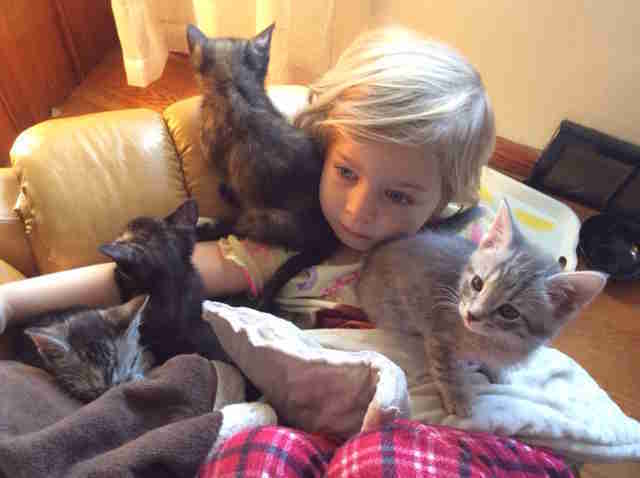 Sofia may be only 8 years old, but she already seems to have found her calling in life, and will continue to be the best foster sister to all of the animals her mom brings home until she’s old enough to work in the shelter herself.